This is true.. 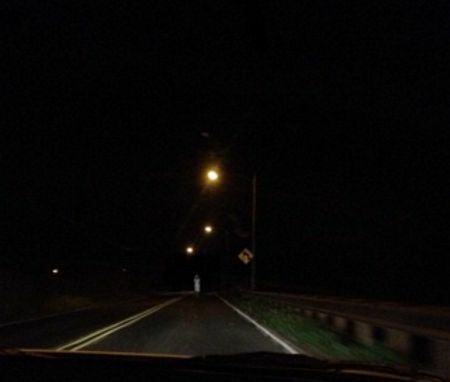 I have seen this ghost before when driving to Wailua from Wahiawa.. She appeared from behind a tree.. Wearing the same clothing as she is in this pic.. But I could see her face clearly. She looked as an old person lady but her eyes were glowing. I have seen the same woman. Driving down snake road Wahiawa to Waialua about midway where there aren't any houses for a while she was dressed in a very light blue dress long black hair and holding her shoes in one hand. She was walking down the same direction we were driving. It didn't seem odd except for the fact that no one would be walking this stretch of road at night in what looked like a silk dress.  No one else in the car saw her but me and when I turned to see her face it looked like static blur. Around 11 pm Snake Road.